While everyone wants their video games to sound great, the idea of a Hi-Fi gaming headset is rather novel. Sure, there are likely a handful of audiophiles out there who enjoy an occasional evening indulging in multiplayer raids in Destiny 2 or going for the Chicken Dinner in Playerunknown’s Battlegrounds, and there have been several headsets in the past aimed at this crowd, but frankly, they never quite hit the mark for us. Enter SteelSeries’ newest evolution of its Arctis headset line, the Arctis Pro. Armed with premium drivers, powerful peripherals, and building upon the already best-in-class design of the Arctis 7, the Arctis Pro has improved upon the greatness of its predecessors to become the best gaming headset available. 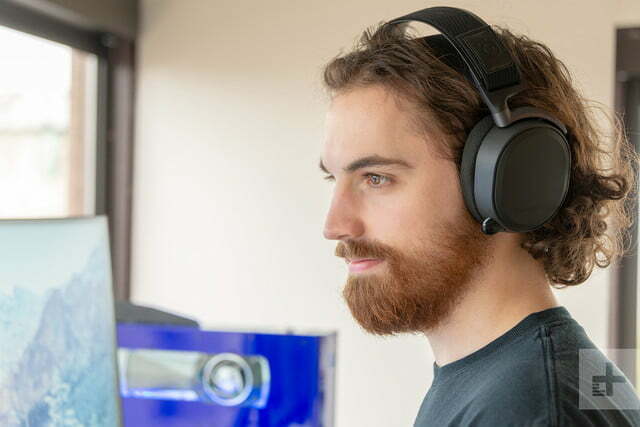 The Arctis Pro comes in three variations: a $250 wired version with GameDAC included, a $330 wireless Bluetooth version, and a scaled back $180 wired, headset-only version. 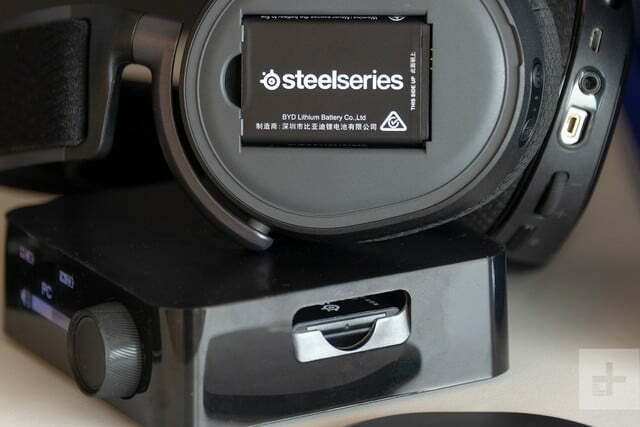 Though there are three distinct models, SteelSeries keeps the packaging and presentation essentially identical. Each come in a thick carboard box, nestled in molded plastic along with any included peripherals. All necessary cables are included, and the wireless version comes toting two rechargeable battery packs. It would be easy to mistake the Arctis Pro headset for Arctis 7 – they look virtually identical — the only significant difference is a new matte black finish that replaces the dark matte grey found on previous Arctis headsets. The Pro uses the same one-size-fits-all, auto-fitting “ski goggle” strap around a thin-but-sturdy metal headband and soft, smooth, breathable ear padding as the Arctis 7. Given its light weight, the goggle strap allows the headset to rest gently on your head, making it incredibly comfortable to wear, and gives the Pro a much more minimalist profile than most other gaming headsets. On-ear controls include a mute and volume for the collapsible microphone living on the left earcup. It’s worth pointing out, too, that the mic retracts quickly and smoothly into the cup for easy hiding. There are only minimal design variations between the wired and wireless versions of the Arctis Pro. 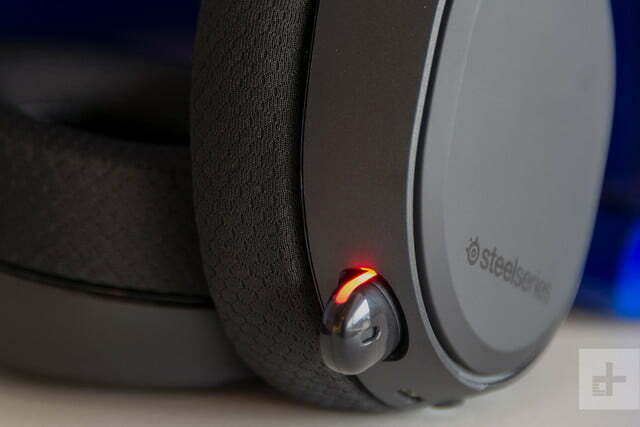 The wired features thin, programmable LED rings on the earcups for custom color choices, while the wireless version has a magnetic plate on the right earcup that hides the rechargeable battery pack along with extra on-ear Bluetooth controls. Otherwise, the two headsets feel the same, and are equally comfortable. Setting up the Arctis Pro will be slightly different depending on which version you buy, as different components are included with each. The more expensive of the two wired versions ships with the GameDAC peripheral, while the wireless model includes a Bluetooth breakout box. 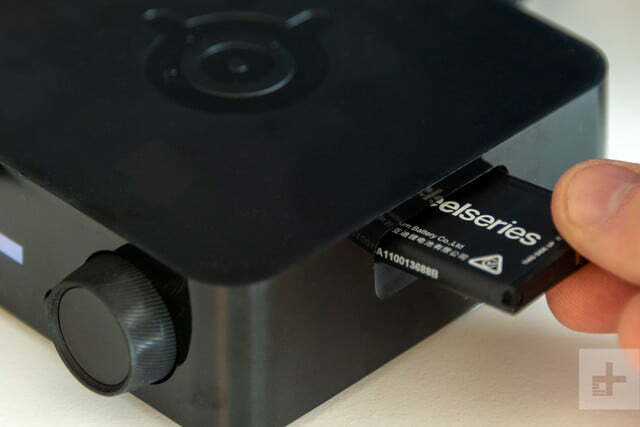 The Bluetooth box is plain and black with an LED screen, dial, and a single button for control. There’s also a slot on the side for charging the wireless version’s reusable batteries. The “ski goggle strap” design makes it incredibly comfortable to wear. Conversely, the GameDAC is a rounded, pill-shaped device, but features the same LED screen and dial/button control scheme. 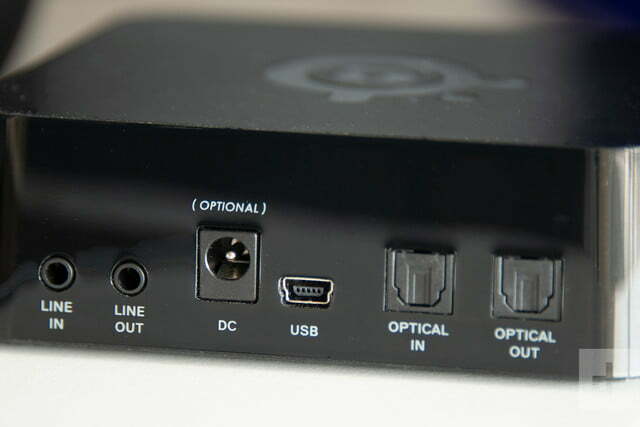 Both connect to PC via USB, and the PS4 through digital optical audio cable. 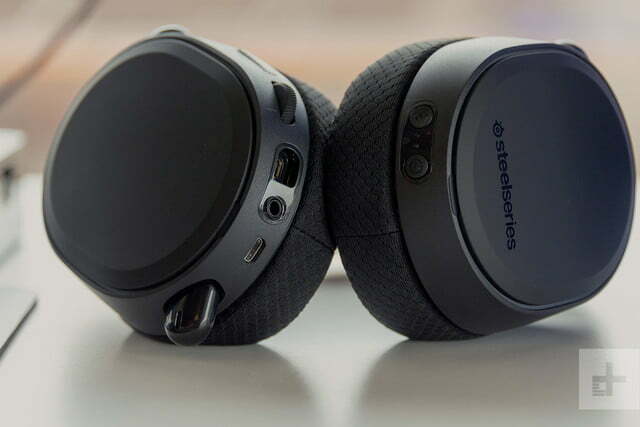 These devices eliminate the need for SteelSeries’ Steel Engine 3 software to drive the surround sound, mic controls, or EQ and mix settings like on the company’s previous headsets, instead handling all these functions themselves. You can even customize the EQ yourself using the GameDAC or Bluetooth box and save your own presets. This is excellent news for PS4 users especially, since you’ll be able to get the full functionality out of the headset. Previously, the Arctis line’s functionality was hamstrung on PS4 by software requirements you could only access on PC. Those roadblocks are lifted entirely with the Pro. It’s worth noting, though, that these extra elements make setup more involved than most headsets. It’s also messier, especially the wired version with the GameDAC. Depending on your setup, you could have three or four extra cables running across your desk, which can be annoying if you don’t employ some clever cable management. The Wireless version, thankfully, has a cleaner setup, requiring only two cords — either two USB on PC, or a USB and a digital optical cable on PS4. The somewhat messy setup is our only complaint about the Arctis Pro and comes from the fac that most other headsets are far simpler, usually requiring a single wire or USB dongle at most. While you can circumvent this entirely by simply purchasing the headset-only version of the Pro, the functionality and sound quality the GameDAC and wireless breakout box bring to the experience balance out any setup annoyances. The Arctis Pro is the best sounding headset we’ve ever used. 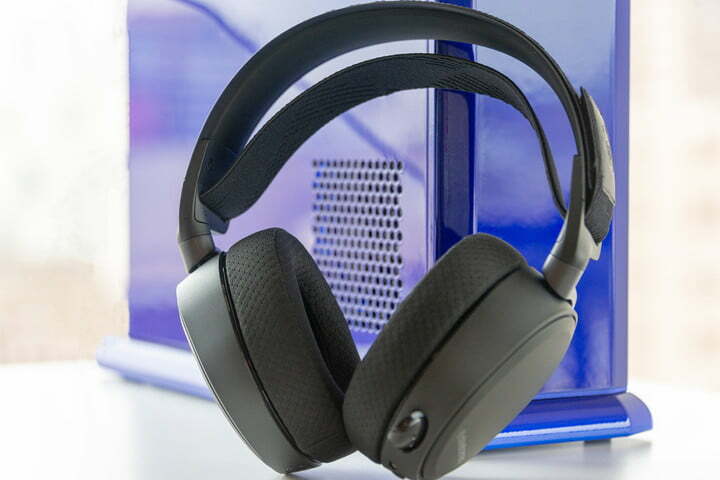 Even with a simple wired USB or 3.5mm cable connection, the Pro is a noticeable step up from the Arctis 7 (our previous favorite) in terms of overall sound quality. But when paired with either the GameDAC or Hi-Res wireless box, the entire listening experience is elevated to levels that are simultaneously ethereal and explosive. The Arctis Pro is the best sounding headset we’ve ever used. The wired GameDAC version boasts Hi-Res 24-bit sound, while the wireless version delivers lossless audio over Bluetooth connection. Thanks to these Hi-Res-capable components, music has more texture and detail, and soft sound effects like footsteps are more clearly audible — something that should appeal to the tens of millions of Fortnight Battle Royal and Playerunknown’s Battlegrounds players out there. In fact, Fortnight was among the numerous games we tested on PC, along with Sea of Thieves, Warframe, and Overwatch, all of which gave a revealing indication of how the headset performs with multiplayer titles. Voice chat came in loud and clear, and the ability to adjust the mic-to-game mix on the fly was very helpful. 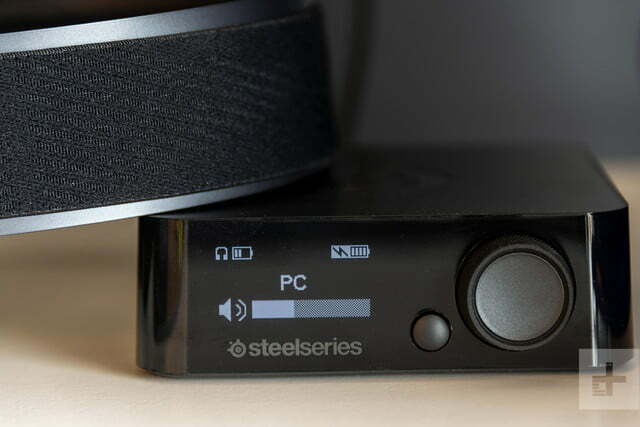 It’s worth noting that connecting the Arctis Pro directly to a PC via USB means you’ll be able to use virtually all those features through the Steelengine 3 software, even without the GameDAC or Bluetooth box, though you’ll be missing out on the Hi-Res audio (more on that below). For testing on PlayStation 4 we took a more single-player approach, putting time into Monster Hunter World, Doom, and NieR: Automata. Each of these titles feature epic soundtracks and gameplay that centers heavily around sound design or audio cues, and all of them benefitted from the Arctis Pro’s performance. Monster Hunter World was an especially appreciable upgrade. The ambience of the game’s dense wilderness was boosted and, enabling the DTS virtual surround made the world feel more alive, with the sounds of distant wildlife accurately and clearly positioned. A particularly memorable example was heading off to the Coral Highlands — a striking locale with flora, fauna, and rock formations that mirrors an underwater scene. The subtle whines and chirps of the tiny critters that inhabit the area were easily heard, and at higher elevations, gusts of wind added to the sense of altitude. After tracking our particular mark — a giant, angry wyvern known as the Pink Rathian — it’s menacing, ear-splitting roar filled the headphones, but was detailed enough that you could hear the layers of the effect, which showed off the work that the sound team put into the game noticeably better than we’ve heard before, even on the Arctis 7. And when the bombastic score kicks in once you’ve found your prey, the Arctis Pro soars into action, reproducing instrumentation with tight transients and spatial definition. For both platforms, we found the default EQ mix to be good, but we preferred the “smiley” EQ preset on the GameDAC and the “immersion” EQ on the wireless box, especially for single player games as both made the in-game atmosphere sound fuller. Each device includes several other presets, such as options geared toward voice chat or specific game genres. For those instances where you can’t use the DAC or wireless box (or if you’ve purchased a version without these components), you can use the included 3.5mm adapter or USB cable. 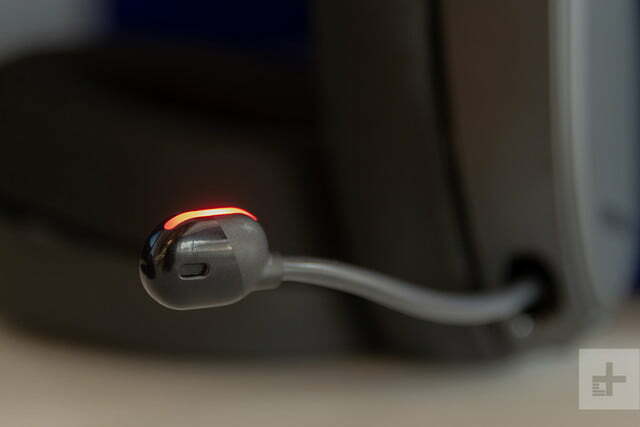 The 3.5mm adapter is used to connect to smartphones, tablets, the Nintendo Switch, or even directly into PS4 or an Xbox One controllers, speakers, TVs/monitors — really any 3.5mm jack within reach. Even playing with the default stereo mix over 3.5mm connection, the Arctis Pro still sounds better than just about any other headset currently available. We gave this connection type a go on all the aforementioned titles to compare the performance, as well as by playing Hearthstone on mobile, and both Splatoon 2 and The Legend of Zelda: Breath of the Wild on the Nintendo Switch. We noticed a barely-perceptible step down in terms of overall detail, and a smidge of muddiness from the low end — not to mention the loss of DTS virtual surround sound — but the performance was still superb. Even playing with the default stereo mix over 3.5mm connection, the Arctis Pro still sounds better than just about any other headset currently available. Any worthy headset needs a great mic, and unsurprisingly, the Arctis Pro’s Clearcast mic shines. Sea of Thieves was our primary litmus test here, since gameplay hinges on proper, clear communication with your team while sailing your galleon. Our teammates all commented on the clarity of our voice, which they reported was clear even when using the in-game proximity chat. A few Audacity test recordings proved that they weren’t lying — the sound is crisp and detailed. It still sounds like a headset mic, but a damn good one, so it could feasibly work for streaming if you don’t have a freestanding mic in your broadcasting or recording setup. The Cloud Revolvers S uses a USB dongle that works similarly to the GameDAC and wireless breakout box, in that it circumvents software requirements to enable surround sound and EQ features for PS4 users. It’s not going to reach the heights of the Arctis Pro, but it’s worth consideration since it’s much less expensive. On the other hand, while we still recommend the $180 headset-only Arctis Pro package if all you need is a headset using a single 3.5mm or USB connection, there is also, of course, the previous entries in the Arctis line, the Arctis 3, 5, and 7. 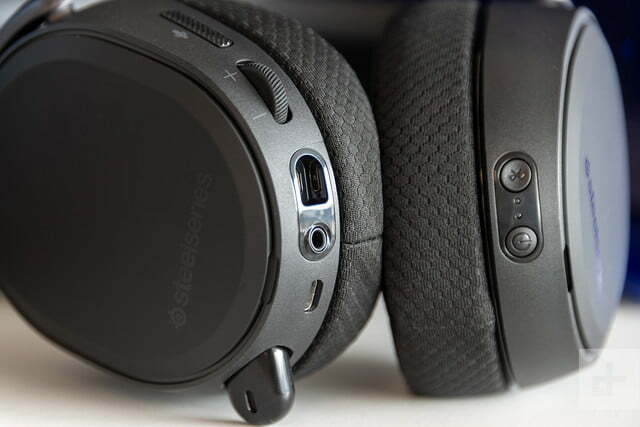 We’ve already mentioned them numerous times throughout this review, but with good reason, as they’re not that far removed from the Arctis Pro in terms of quality or design and are all more affordable. The Arctis 3 even has an affordable Bluetooth option, as well. Finally, while the Arctis Pro can be connected to the Xbox One via 3.5mm and still performs phenomenally, for Xbox One owners discouraged by the lack of virtual surround and EQ manipulation available on the base version of the Arctis Pro, we recommend the Astro A50 as a wireless alternative, and the Astro A40 TR for wired. In terms of durability, it will take quite a bit of effort to damage or break the Arctis Pro or its peripherals. As for the tech’s longevity, we expect the Arctis Pro’s reign atop the Best Gaming Headphones throne to last a while, but we’re also confident it will remain an excellent and viable option years down the road thanks to its high performance. Yes. Unless you fall into one of the few exceptions we discussed in the alternatives section above, the Arctis Pro is the best headset available.